We love this air filter because it is energy efficient and quiet. It consumes as little energy as conventional light bulbs do. The fan motor is placed between sound-attenuating filters that ensure it remains quite. The air filter also has a double-walled housing and rubber suspension pads. 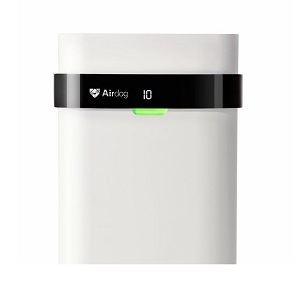 The Alen BreatheSmart removes over 99 percent of airborne particles, no matter how small they are, and in turn helps to keep your asthma allergies on bay. The device has a SmartSensor feature that enables it to automatically detect the quality of air and, in turn, change its cleaning speed to ensure you have the cleanest quality air. 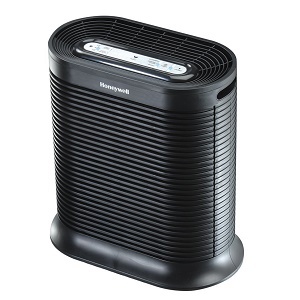 The WhisperMax technology in-built into the air purifier makes it operate quietly. Therefore, you can turn on the air purifier in your bedroom at night and not have to worry about noise. The air filter is Energy Star rated as it only consumers 105W when on its highest sped. Moreover, the air purifier comes in 14 different color options for you to choose from. The Rabbit Air MinusA2 allergy and asthma air purifier produces approximate 4 air changes per hour. When you have installed it in your home, you are guaranteed of a safe living environment. The air purifiers has an LED Mood light on the front panel that you can turn on at night to enjoy a perfect ambiance. We love this purifier because of its low energy consumption, which will help to keep your energy bills low in the long run. There is also a filter indicator that will help you know the appliance should be maintained. Finally, the versatile design of the purifier enables it to be placed either as a freestanding unit on a flat surface or mounted on the wall. The AirdogX5 does not have the HEPA air filtration technology but delivers clean air thanks to its manufacturing concept. The asthma air purifier removes particles that are as small as 0.0146 microns, which is far better than most air purifiers on the market. We also love the companion app of the AirdogX5. You can install the app on your smartphone and use it to change the settings of the device as you wish. The automatic settings of the device will also make your life easier as they will change the air filtration settings on their own depending on the indoor air pollution at a particular time. The GermGuardian AC9200WCA features a modern design and is effective in remove harmful particles in the air. 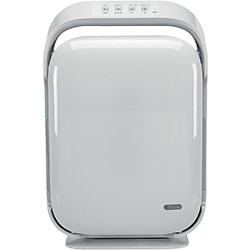 The product features True HEPA filter that enables it to capture 99.97 percent of dust and allergens that are as small as 0.3 microns, hence ensuring that asthma sufferers have clean air. The air filter also has an activated granular carbon filter that reduces odor from pets, cooking, and smoking, which ensures that your house is smelling wonderful. There is also a UV-C light that works with titanium dioxide to kill germs, bacteria, viruses, and spores. The GermGuardian AC92000WCA is meant for spaces measuring up to 378 sq. ft. The device has an ionizer that you can turn ON/OFF whenever you want. 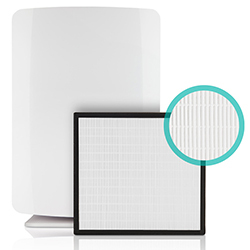 The AeraMax200 features an impressive True HEPA filter that is proven to remove up to 99.97 percent of airborne particles that are as small as 0.3 microns. The air purifier has a carbon filter that captures a large amount of particles and removes unpleasant odors from the air. This purifier has four different fan speed that are quiet, and filter indicator lights that alert you when it’s time to change the filters. Finally, the device has an Energy Star rating for energy efficiency. 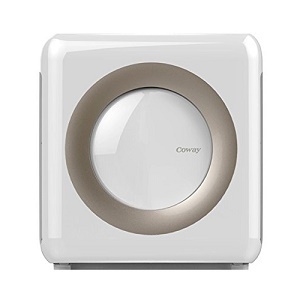 The Coway AP-1512HH is a 4-stage filtration system that completely removes allergens from the air thanks to its 4-stage air filtration system. The air purifier uses a pre-filter, activated carbon odor reducing filter, and a True HEPA filter that helps to remove microscopic particles. Finally, there is also an ionizer that ensure no dust particles remain in the air. 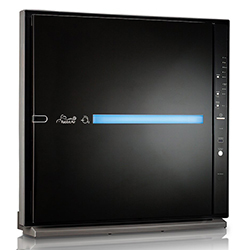 You can customize the air purifier through its 3-speed airflow controls. The appliance has a timer that can be set for 1, 4, or 8 hours. There is also a filter replacement indicator that will alert you when it is time to carry out routine maintenance on the appliance. If you wish, you can set the appliance on auto mode so that it changes speed according to the quality of the air indoors. To save on energy costs, you can set the device on Eco mode. This air purifier works well for rooms that are up to 528 sq. ft. 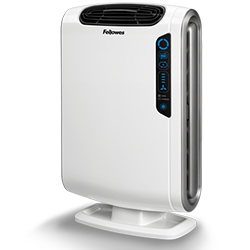 The air purifier has intuitive electronic controls that are easy to use. Moreover, it operates relatively quiet, producing only 60 dB when set on the highest speed. Finally, it comes with two extra pre-filters you can use for replacement. 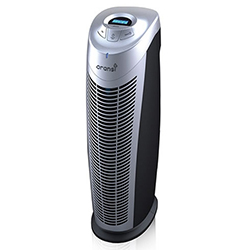 The Honeywell HPA200 has an Energy Star rating for its optimal operation and a HEPA filter that only has to be changed once a year. The appliance also has CADR ratings and has received 180 for destroying pollen, 190 for dust removal, and 200 for smoke clearance. 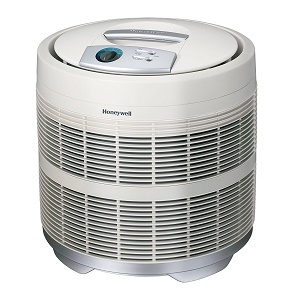 This air purifier is excellent for medium-sized rooms measuring up to 310 sq. ft. The reasonably priced Honeywell 50250-S cleans the air in spaces measuring up to 390 sq. ft. This air purifier can tackle particles that are as small as 0.3 microns. The appliance has a glass fiber HEPA filter that allows it to capture up to 99.97 percent of contaminants. There is also an Intelli-Check indicator that will alert you when it is time to change or clean the air filter. Finally, with a CADR rating of 250 in terms of removing smoke, pollen, and dust, it is evident that this is the one of the best air purifiers for allergies and asthma. Do Air Purifiers Work for Allergies and Asthma? Most allergies and asthma incidents are triggered by airborne pollutants. You can use air purifiers to remove allergens and dust particles in the air to prevent allergic incidents. The best air purifiers also remove smoke, as it’s one of the main causes of asthma attacks. Not just any air purifier would be suitable for allergies and asthma. You specifically want a purifier that can remove over 99 percent of airborne pollutants, including the smallest particles, in an efficient way. We highly recommend the IQAir HealthPro as it kills novice particles that are as small as 0.003 microns. 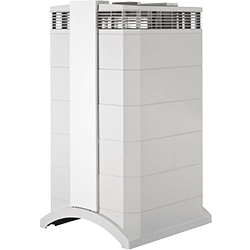 The best air purifiers can also purify the air in small, medium, and large space. Choosing an air purifiers that can work on large spaces such as the living room is important as you usually spend a lot of time in the area. There are many benefits of having an asthma and allergy air purifier in your home. These appliances help to improve the quality of air in your home, which helps to improve the quality of life you will enjoy. Below are the benefits of using an allergy air purifier. Air purifiers help to remove pollutants and allergies that cause and aggravate the symptoms of asthma. The appliance eliminate dust, pet dander, mold spores, and pollen from indoor air, making it safe for people suffering from asthma and other allergies. The air purifiers also help to remove unpleasant odors that may be in the air due to high humidity, pets, or smoke. When the odors are removed, you will feel the air quality has improved. Having clean air indoors is especially important for people that are asthmatic. Mold spore can lead to growth of molds, which are known to affect the quality of air indoors. The asthma air purifiers will remove this pollutant from the air, ensuring that you are left with clean air to breathe. Regardless of how clean you try to keep your home, bacteria and viruses are always in the air. Allergy and asthma indoor air purifiers ensure that these pollutants do not linger in the air. The best air purifier for asthma and allergies is the IQAir HealthPro Plus. The appliance uses the HyperHEP filter that enables it to remove even the smallest particles that may be in the air indoors. We also love the Alen BreatheSmart-Pure. This air purifier can cover up an area of up to 1100 sq. and uses HEPA filtration to eliminate particles that are as small as 0.3 microns. If you are looking for a budget option, the Honeywell HPA200 would be an excellent choice.